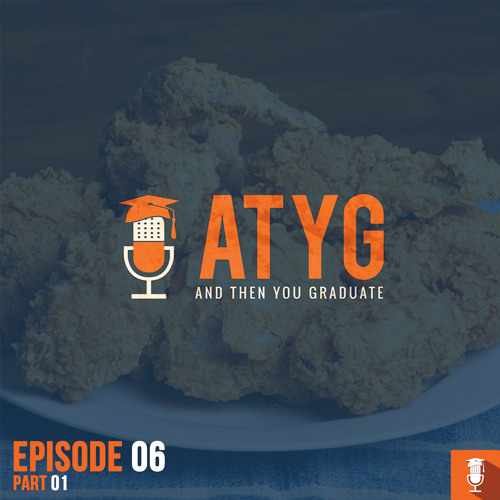 Follow us on the Instagram and Twitter" @atygpod"...This episode talks A LOT about Fried Chicken, we also talk about eating grapes for 40 days, Why you should put your body into ketosis, how to hack your belief system and why Jinx is an amazing documentary. Like seriously, this episode is so packed with tips tricks and interesting conversation that we had to break it up into two parts. Some of the topics include for parts one and two include: Tony Robbins Thermostat (from the personal power series) Gurdjieff the philosopher Pueer tea the importance oil pulling Why intermittent fasting and ketosis help defeat cancer Dom d’agastino - fasting for 6 days and deadlifting 500 lbs for reps The potential affects of fluorescent lighting on the body Branch Chain Amino Acids The Popeyes Recipe Extra wet scene Atlanta Documentary: Gully Queens Trans of Jamaica Book: Light on the path ~ Mabel Collins Book: Kybalion Documentary: jinx robert durst trailer Documentary: Jiro Dreams of Sushi TV Show: Shokugeki No Soma So as you see there is a lot here. We will be dropping part 2 of this episode next week. Enjoy and please subscribe to us on Soundcloud and iTunes. Podcast binge... wings are expensive as hell. I'm glad someone else notices that ish. this podcast is dope af!!! !